George Marion McClellan (1860 - 1934) earned a master's degree from Fisk University. In addition to writing poetry, he worked as a minister, teacher, and principal. "A January Dandelion" is a Shakespearean style sonnet lacking only the final heroic couplet. 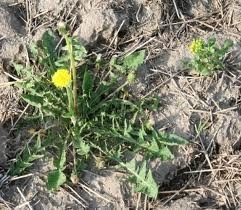 Mr. McClellan used a dandelion "misled" into blooming by a few warm days in January as a metaphor for love lost.